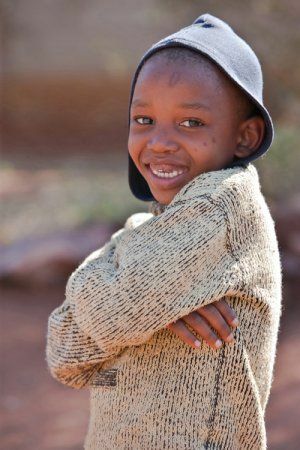 An innocent child that has absolutely nothing in this world, besides his body, mind, soul and... shadow, and still has one of the most sweet but yet wondering captivating genuine smiles in the world! This little kid's shy smile made my day, I forgot in a split second all bad or weird life experiences that I passed thru, everything else faded away, and I was seeing only his eyes and small face with true emotions! He made me unleash and rediscover rejuvenated inner feelings, a huge relief and amazingly, made me smile in return! So, I couldn't resist to such unspoiled purity and had to take him a photo! This poor child's smile was worth a thousand photos and no word to be said! Unknown author quote about a child's smile - "A child's smile is one of life's greatest blessings." They looked at me with their small cute but intrigued faces, with mix feelings, their physiognomy passing throughout different stages: shy, laugh, timidity, a drop of fear, and after they understood I’m a friendly person, they changed their expressions offering a large beautiful and natural smile perfect for a photo to show it to the entire world! I played with them for hours, told them short children stories and jokes, made them laugh, while enjoying their simple life, took lots of photos, and at the end of the day they were so happy but they may never know how happy they made me, in return! Make a child smile! Every day! - Capture a child's smile in a photo! No pressure, no compromise… pure emotions of simple citizens of the world spending few moments in time together, smiling and laughing in the sun, surrounded by bushes in the drought, and being so happy in that serene simplicity. So, make a child smile every day and you’ll be a new person! And whenever possible, capture a child’s smile in a photo! You’ll smile, too! Joseph Addison quote about smiles - "What sunshine is to flowers, smiles are to humanity. These are but trifles, to be sure; but scattered along life's pathway, the good they do is inconceivable." Mother Teresa of Calcutta quote about smile - "Smile at each other, smile at your wife, smile at your husband, smile at your children, smile at each other -- it doesn't matter who it is -- and that will help you to grow up in greater love for each other." The smile of an African child captured in a photo - IMPORTANT! Learn to bring a smile on a child's face! Never bring any harm to a child/ children - no matter the color and religion, no matter from which corner of the world or family status - respect them, offer them all your love and attention, communicate, and learn when to be firm and when friendly, and most of all be honest! Doing this you'll bring a smile on your own face - for doing something good with no expectations or regrets - and getting back thousand time more plus a child's genuine smile that will melt your heart and soul forever! Ansel Adams quote about photography - "You don't take a photograph, you make it."